Art Design has established new contacts with companies from Turkmenistan. 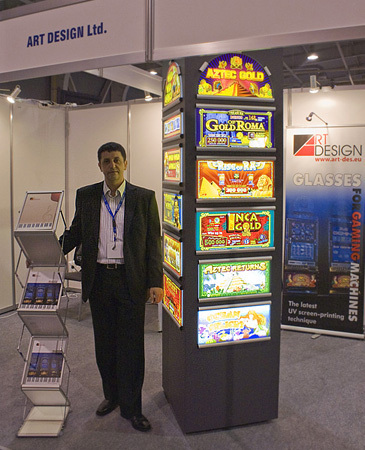 The first advertisement glass panes have been produced for gaming machines intended for gambling houses and casinos. 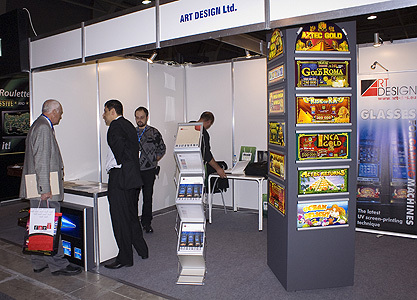 The international exhibition Balkan Gaming Expo took place between 30 September and 2 October 2008 in Sofia. By the high quality of produced advertisement glass panes for gaming machines and jackpot systems ArtDesign succeeded in attracting new Bulgarian and foreign clients.